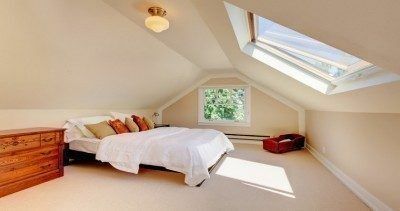 Are you looking to unlock the full potential of your attic space? Does the idea of all that room going unused right above your head leave you feeling particularly frustrated? Then call Firtree Building Services today on 0800 270 7764 and enlist the assistance of our design specialists. Whatever you’d like to achieve with your conversion, we will work hard to make it a reality. To find out more, get in touch with us today. Not taking full advantage of your loft space is a huge waste of your home when you consider that it runs the entire length of your property. There’s potential there for one or more bedrooms, an en-suite, a place for the kids to play, a study, home gymnasium and so much more. If your house is feeling a little small, an attic conversion could very well be the solution, so consult with our loft conversion contractors North London to find out more. For years, Firtree Building Services has provided North London loft conversion contractors who are highly knowledgeable and skilled at what they do. They can add another room into your property without using up any additional space. This makes loft conversions a great alternative to house extensions as you won’t have to give up a part of your garden in the process. The loft space is filled with so much untapped potential and yet so often finds itself relegated to storage duty. Many people don’t realise just how much space is sitting right above their heads unused and ready to be adapted. The average dormer loft conversion can cost between £30,000 and £40,000! This can be off-putting for some, but the results of enlisting our loft conversion contractors in North London more than make up for this. At Firtree Building Services, we can turn a 2 or 3-bed property into a 4 or 5-bed home just like that. A property that comes with a fully converted loft space will see its market value rise dramatically. Over time, the conversion will pay for itself tenfold. For this sort of money, you want to be getting the most out of the project, and this is why you should choose our loft conversion contractors. North London residents will reap the benefits of a conversion tailored to their specific requirements. Our team will start by discussing the project with you in more detail and at the conclusion of this consultation, you will be supplied with a fully itemised quotation. If you choose to proceed with using our services, we will move onto the architectural planning phase and take structural calculations to help us finalise the design. We’ll then proceed with the build phase. Our North London loft conversion contractors will handle every aspect of your project. The beauty of a loft conversion is that the majority of the time, no planning permission is required. From the moment we start work, it usually takes around 6-7 weeks to complete the conversion. Our team handle all the work ensuring consistently high standards of quality throughout. Once we’ve completed the work, you will be supplied with all the relevant building certificates. Why Choose Our North London Loft Conversion Contractors? Searching for the best loft conversion contractors North London can offer can be somewhat of a challenge, especially if you’re uncertain as to where to start. In reality, the solution couldn’t be simpler – Firtree Building Services are the number one company and experts in the provision of quality conversions and house extensions. We’re also experts at providing helpful advice on ways to optimise space. These are just some of the many reasons why we’re considered by many to be the most exceptional loft conversion contractors North London has seen. Contact our loft conversion contractors North London specialists today on 0800 270 7764, and we’ll supply you with a FREE quotation. Alternatively, check out our gallery to see what we’ve done for other customers.